‹ Yoido Full Gospel church in decline? So a known trouble maker gets told to stay away from the place she will only intentionally cause trouble in. And you all wonder why. Are you really that retarded? Define “trouble maker” Phil. 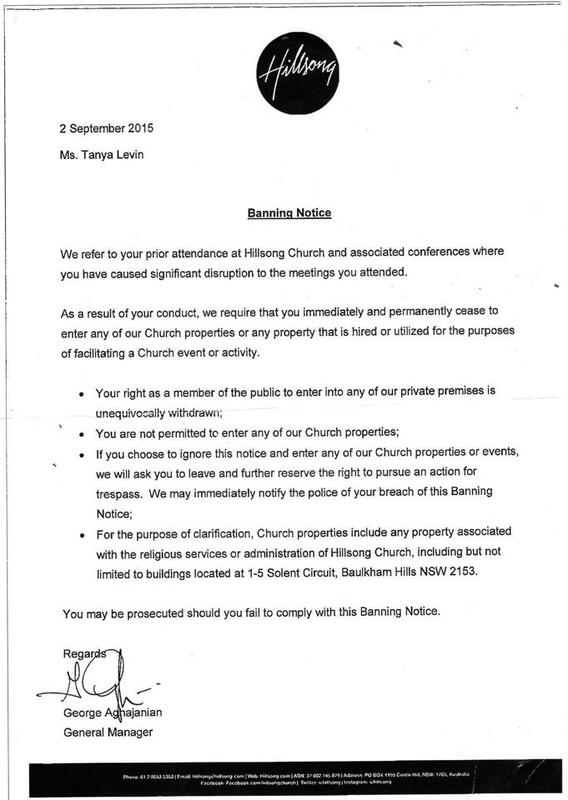 You will find Brian Houston was the trouble maker by starting a massive smear campaign against Tanya Levin. Defamation has always been his game to get what he wants on his terms. It will get him in trouble one day. Oh sure. She’s written whole books defaming Hillsong, but Brian’s the real trouble maker here. Does Brian have a criminal record? Cause Tanya does. Depends on the police investigations after the Royal Commission findings. No. Hillsong is trying to get her a criminal record to discredit her.